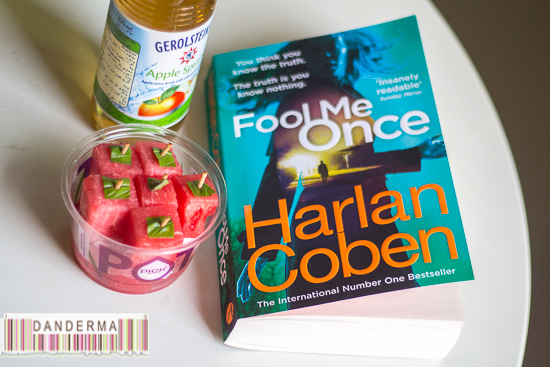 This is the third book I’ve read by Harlan Coben within 6 months and I have to say I’m left surprised and constantly guessing at the answer of the mystery again and again! I loved the leading lady, Maya, a lot! Unlike other women terrorized by what seems to be the impossible ghost of her murdered husband appearing on the nanny cam, Maya is calm, collected, armed, strong, and has a no nonsense no beating around the bush confront and give me the answer I want right away attitude! None of the usual whining call somebody I’m a damsel in distress help me you’d usually encounter while reading or watching a movie. After all, she was a soldier and a fighter helicopter pilot in the army, which also is an important part of this story for it tells of the physiological issues soldiers suffer from after being involved in a war. An alibi Maya gives for her whereabouts in a murder turns to be she being deployed in Camp Arifjan, Kuwait! It felt good to read the mention of Kuwait a few times, usually its Dubai that appears in foreign publications stealing the limelight. The ending is spectacular, you’ll never guess at it even though after you finish the book you realize it was right there in front of you, staring you in the face! By the time I reached the quite heartfelt and emotional last chapter, I was bawling with tears streaming down my face along as my favorite character narrates the end. I’d totally recommend it, it makes for an exciting read.